Lynn Media Group launches new website for Central Texas church. Austin Love Ministries is located on South Congress Avenue in Austin. 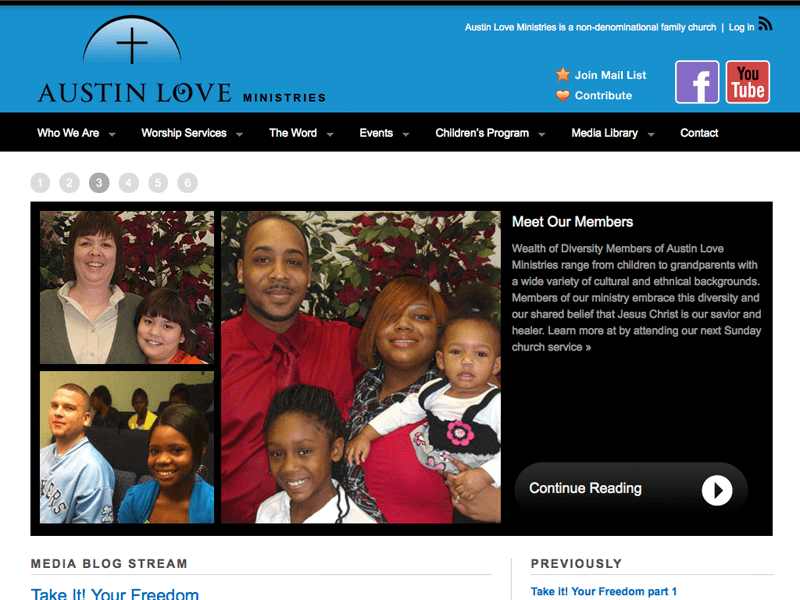 austinloveministries.org – Like many nonprofit and community outreach websites, the former website for Austin Love Ministries was “static” — basic HTML without a blog component or platform to allow church members to login and easily make updates. It did not take much convincing by Lynn Media Group to move the organization to the WordPress platform for the new website design. Given budget constraints, Lynn Media Group opted to customize a child theme based on the Modularity theme by Graph Paper Press. Church members were thrilled with the theme’s built in features, namely the home page slider, where large photographs appear in sequence. The Austin-based non-denominational church is proud of their diverse membership and wanted to feature this aspect of their ministry. The base and child themes were originally designed for photographers, but as one can see, with code and visual customizations, it was a nice fit for a growing ministry as well. Upcoming features of the website include live webcasting of Sunday church services. Austin Love Ministries has an active Facebook page and YouTube channel. Since the launch of the new website, members can login and post new photos and videos to the website from these social media channels. 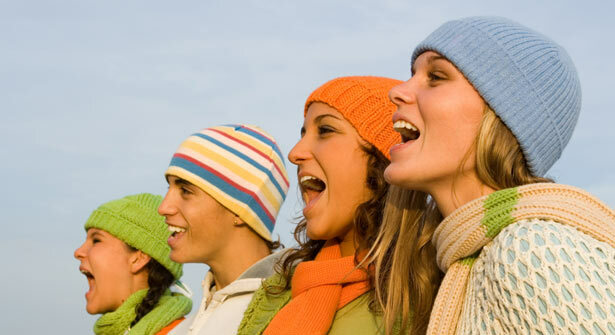 The primary components of the ministry are audio and video. The group hopes to add podcasts in the future as well. Lynn Media Group also facilitated a variety of training sessions to help church members get accustomed to the WordPress platform and build a strategy for sharing and updating content between the social media platforms. This entry was posted in Blog, Website Development, Website Launch and tagged austin, church, client, community, lynn media group, social impact, wordpress development by colleen lynn. Bookmark the permalink.